Andrea Coffin, WiLS Community Liaison/Service Specialist. WPLC Announcement, September 20, 2017. Subscribe to the WPLC Announcements list to receive email updates. The History page automatically displays titles a user has borrowed (beginning the day the feature is live), and users have the option to manually add titles previously read (through OverDrive or other sources). This has been a highly-requested feature from users over the years. We know that some users have been tracking their read titles via ratings, so the history includes an option to import their rated titles list. If a rated title is already on the history, it will not be added again. 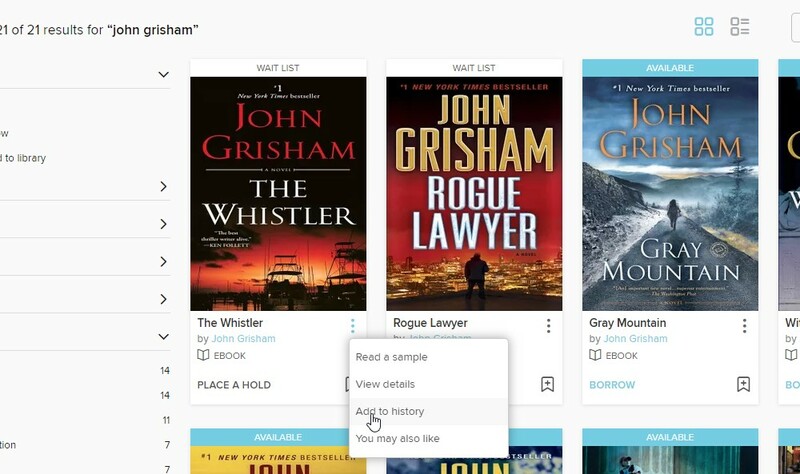 Users will see personalized suggestions on the home page in a “You may also like” collection that recommends titles based on the most recent titles in their history (excluding titles that received low ratings).